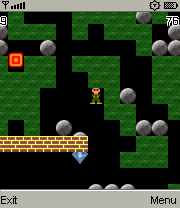 Welcome to site dedicated to Java clone of good old Boulder Dash game!!! 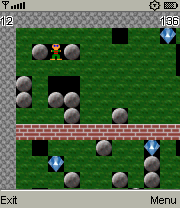 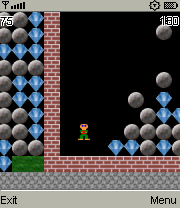 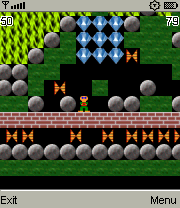 Boulder Dash was created by Peter Liepa and Chris Gray,and on October 28, 1983, acquired and later published by First Star Software,which still owns the rights to the game. 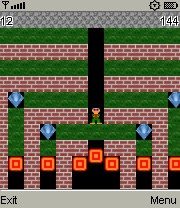 Here on this site, you can download clone of this game Java Dash into your cell phone for free or you can play it directly by hitting "PLAY" button.